They allow a professional development of your drawers while being very easy to install. 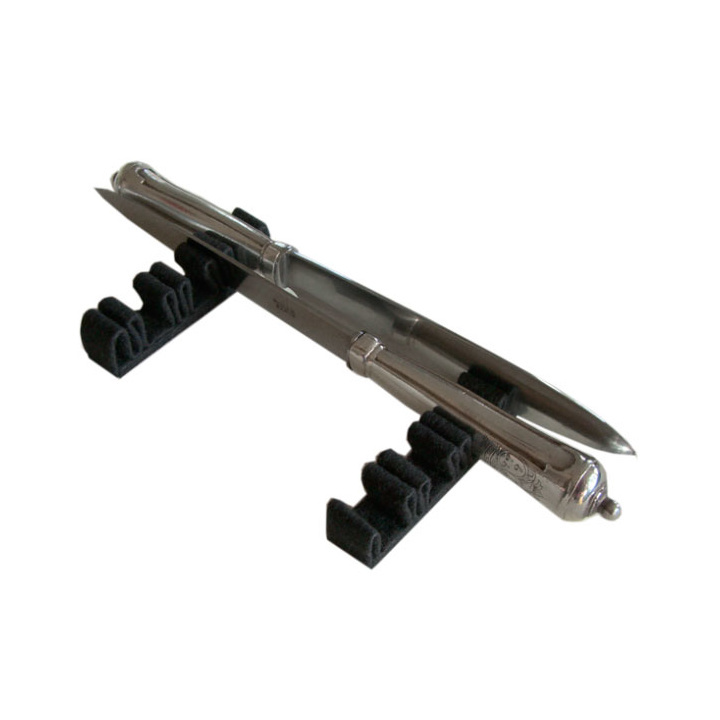 Garnish the bottom of your adhesive felt drawer or cut a piece of cardboard (choose the smooth "cardboard") to the size of the bottom of your drawer where you will stick the adhesive felt. Place the stickers at your convenience. 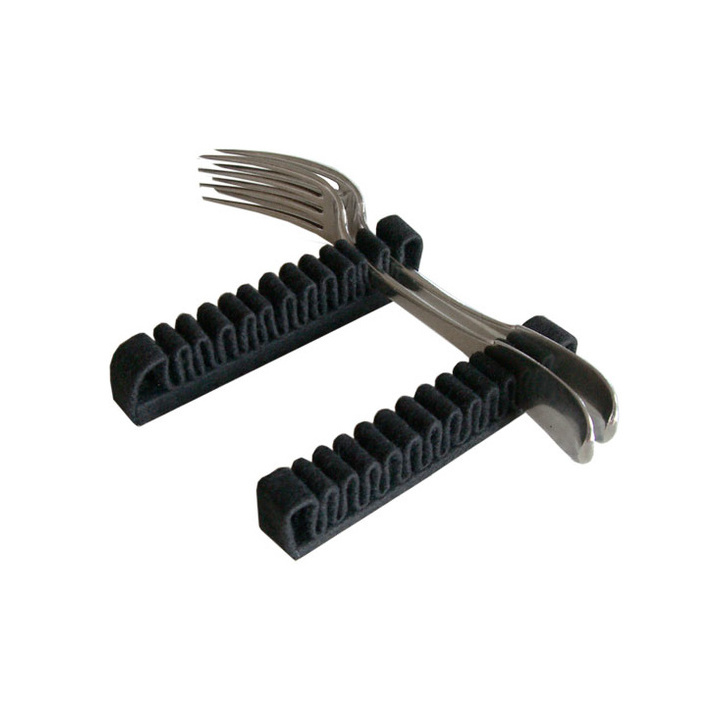 You will choose the spacing between the two supports depending on the length of your cutlery. 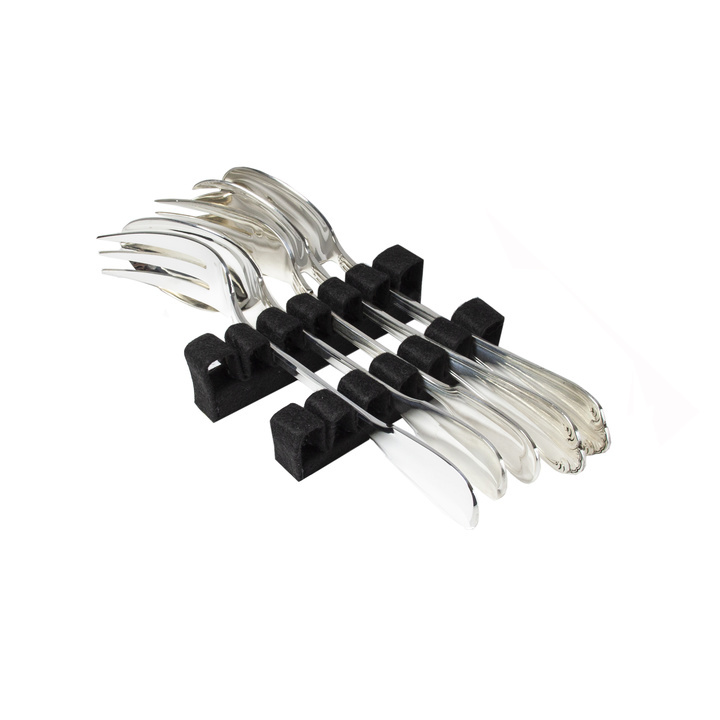 Our supports are sold in pairs for optimal hold of your cutlery: the top and bottom of each cover is maintained. 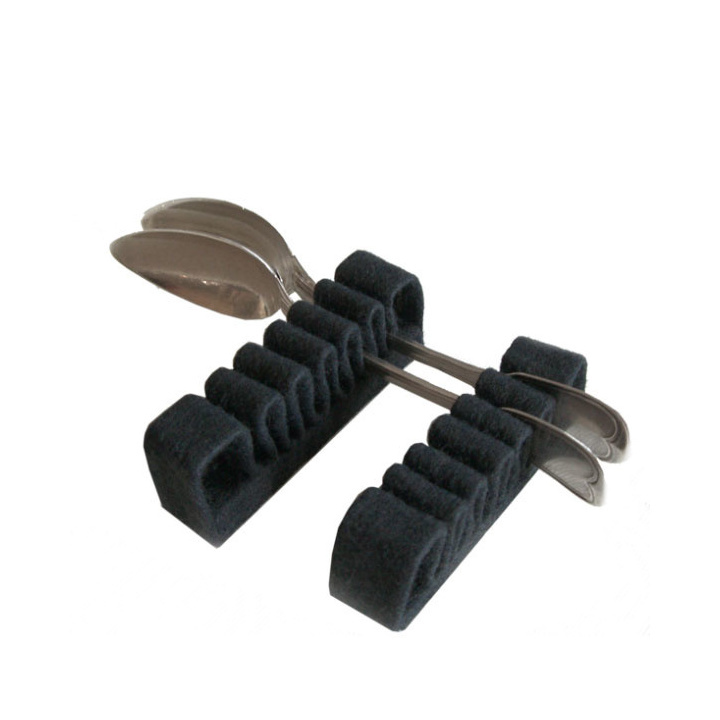 They are covered with anti tarnish felt and adapt to any type of silverware. 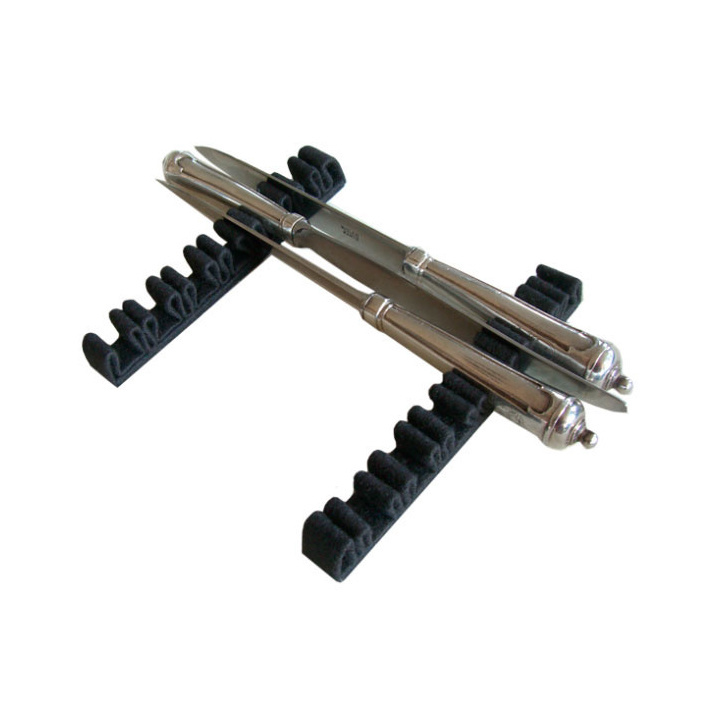 Our supports are self-adhesive, a strip of double-sided adhesive comes to fill the base of the modules. 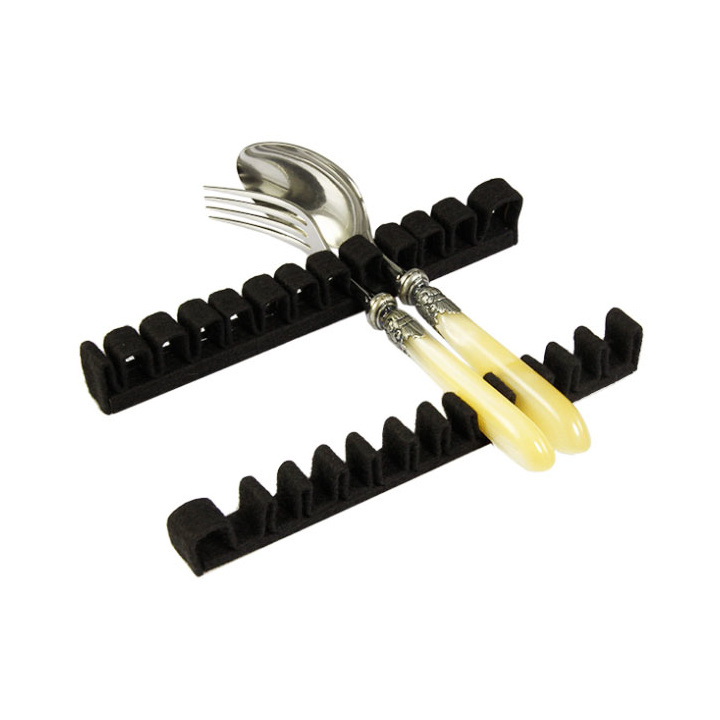 You can cover your cutlery with antioxidant felt offered in our shop to protect them from the air.